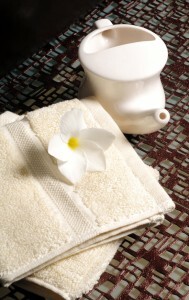 Salt water (saline) irrigations of the nose have been proven effective by many scientific studies over the years. If performed properly and regularly, they improve nasal breathing and reduce congestion, inflammation and mucous membrane thickening. Additionally, they can help prevent sinus infections. These saline irrigations have been very beneficial for children as well as adults. A Neti Pot, bulb syringe (infant nasal aspirator), Sinus Rinse Kit, Water Pik with nasal adaptor, SinuPulse or Hydro Pulse Sinus irrigator or Kids Mist nasal irrigator can be used to perform these nasal washes. Recently, two articles were published which described a total of 10 cases (2 in February 2012 and 8 in October 2012) of serious infections caused by nasal irrigations with tap water. Although these infections are exceedingly rare, their prevention is important. Based on these reported cases, the Center for Disease Control (CDC) and the Food and Drug Administration (FDA) now recommend that all nasal saline irrigations be performed using only distilled, boiled or properly filtered water and not plain tap water. In order to be 100 percent safe when using tap water, boil the water and allow to cool until it reaches room temperature prior to use. Since Oprah Winfrey first discussed the benefits of Neti Pot nasal irrigations on television, this ancient and time honored procedure has become very popular among contemporary adults. Recently published studies in the Pediatric Ear, Nose and Throat literature have also shown substantial benefits for children as young as 3-5 years of age. When three pediatric age groups (five years of age and younger, six to twelve years of age and 13 years of age and older) were investigated, 87% of participants not only tolerated the nasal irrigations well, but continued to use them after experiencing significant improvement in nasal symptoms. In summary, nasal saline irrigations have been shown to provide significant improvement in nasal and sinus complaints of children and adults if used properly on a regular basis. Please Note: It is the patient’s responsibility to obtain referrals from the primary physician. If your insurance company requires a referral and we do not have the referral at the time of your visit, we are required to reschedule your appointment. There will be a $25 no show fee for appointments not canceled 24 hours before the scheduled time. Copyright © 2018 Woodstock ENT. All rights reserved.